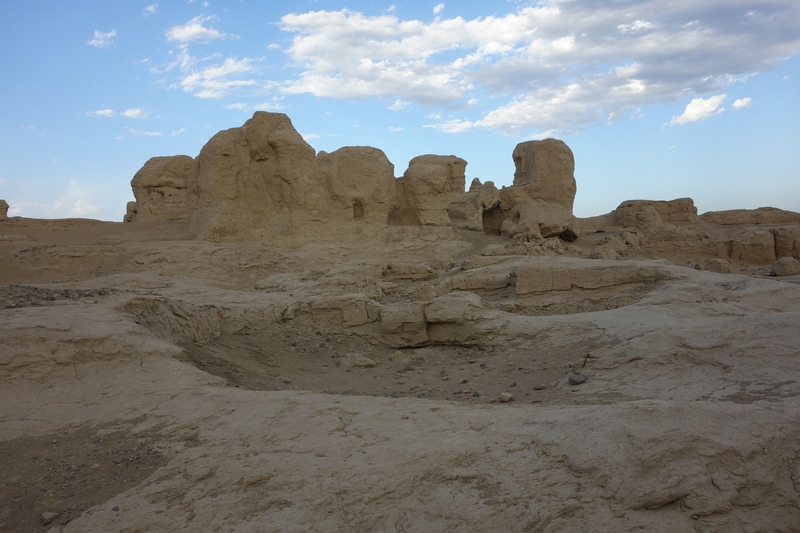 Said to be the largest, oldest and best-preserved earthen city in the world, the remains of the ancient city of Jiaohe are incorporated into an island in the middle of the confluence of two rivers near Turpan and serve admirably as further evidence of the rich history of Xinjiang. I say “incorporated into” because the city was not built on top of the island. 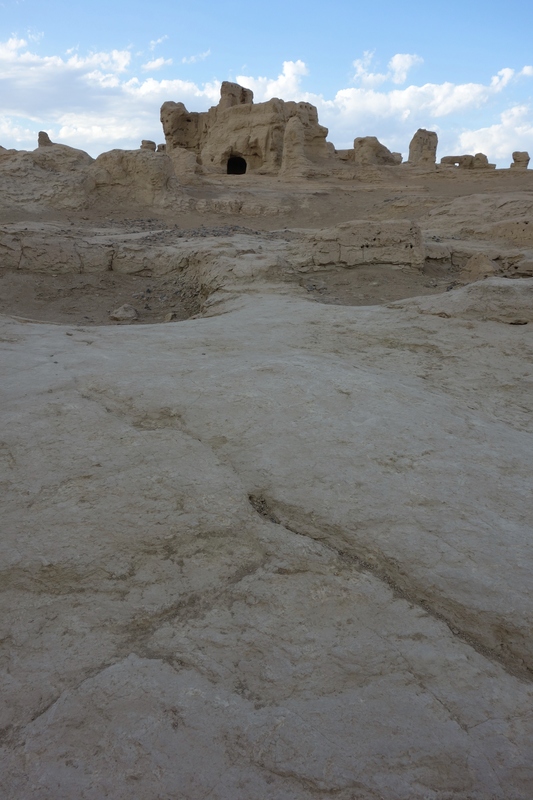 Instead, it was literally carved down into the sandstone. 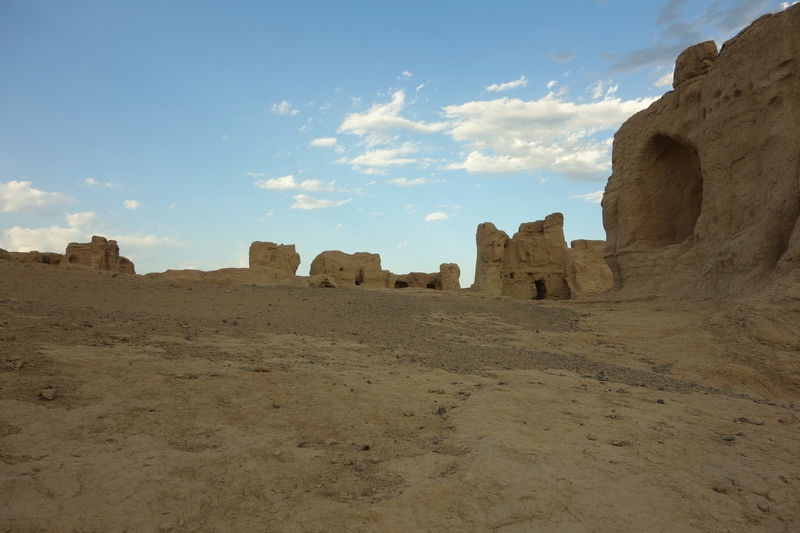 Unlike most ancient cities, Jiaohe had no high walls surrounding it for protection against invaders. They were not needed because the island itself is surrounded on all sides by steep cliffs. And so the inhabitants simply carved two gates into the sandstone to provide (well-guarded) entrances to the city. 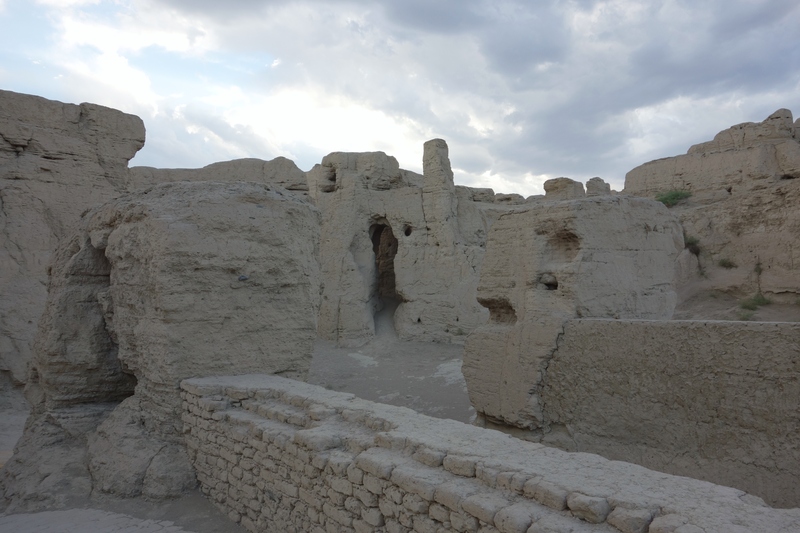 First populated by the Indo-European speaking Tocharians around 1000 BC, Jiaohe became an important site along the Silk Road trade route and over the years served as the capital of the Anterior Jushi kingdom and then as an administrative center under the Han Dynasty, Jin Dynasty, Southern and Northern Dynasties and Tang Dynasties in China. 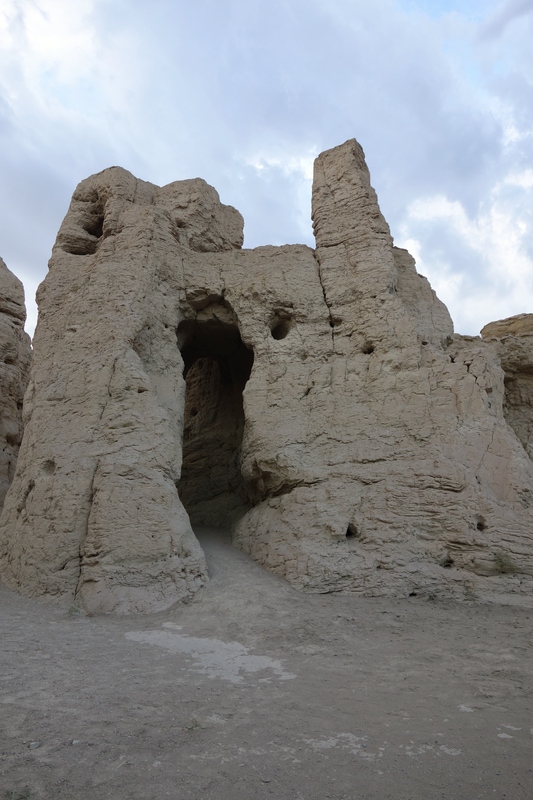 In the beginning of the 9th century Jiaohe came under control of the Uyghur Khaganate, until their kingdom was conquered by the Kyrgyz soon after in the year 840. 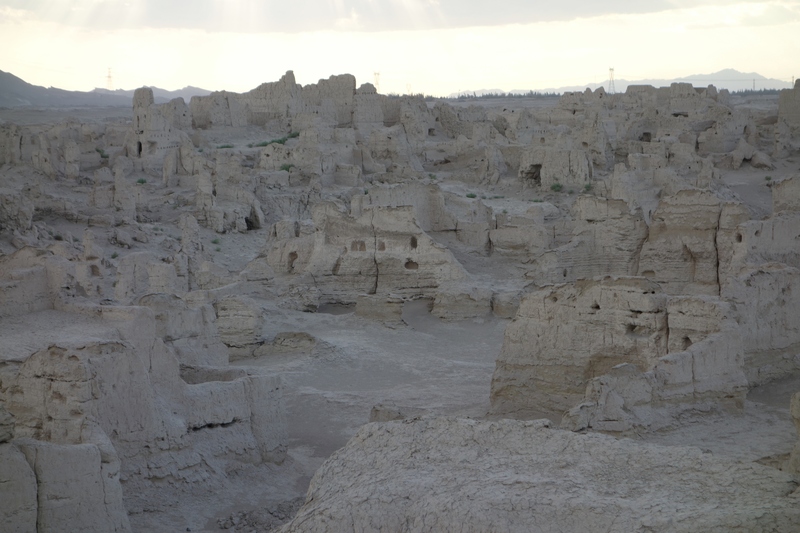 Jiaohe had a population of 7,000 according to records from the Tang Dynasty. 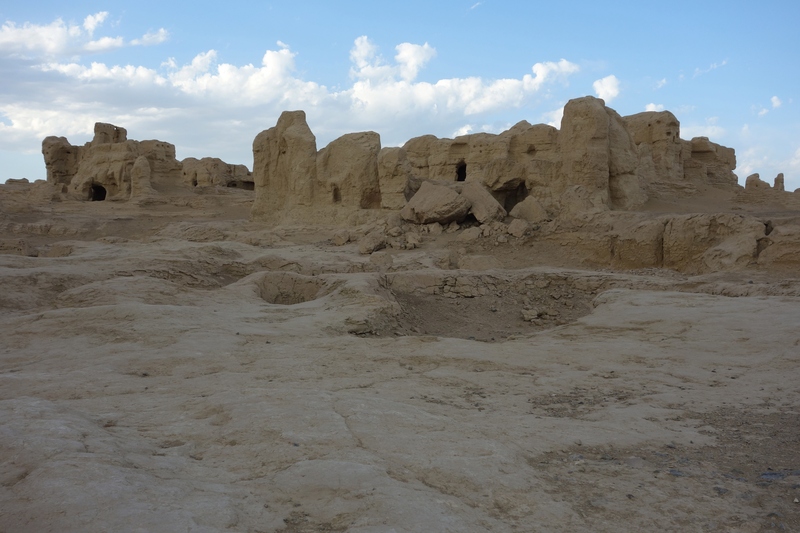 The city’s 2300-year-history was finally brought to a close in the 13th century when it was abandoned following its destruction at the hands of everyone’s favorite conqueror, Genghis Khan. 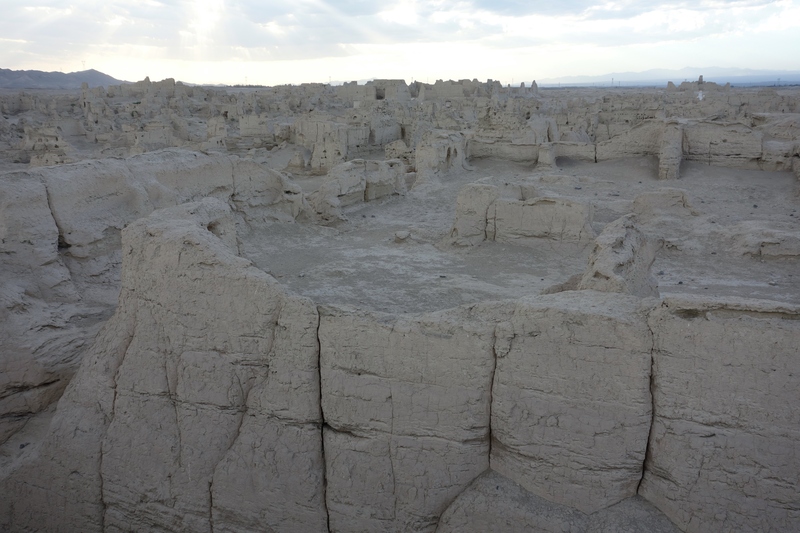 The site was partially excavated in the 1950s and has been protected by the Chinese government since 1961. However, there is still much to learn here. Tags: China, Eleonora Ames, Genghis Khan, Jiaohe, Justin Ames, Turpan, Uighurs, Xinjiang, Xinjiang Uyghur Autonomous Region. Bookmark the permalink.